So, I’ve been pretty excited to share this experience with you. I thought this might post would be a typical spa day, but it was far from it. Lindsey and I talked about going to a salt cave for months, so when the LivingSocial deal for Primal Oceans Salt Cave in La Grange became available, we jumped at the chance. 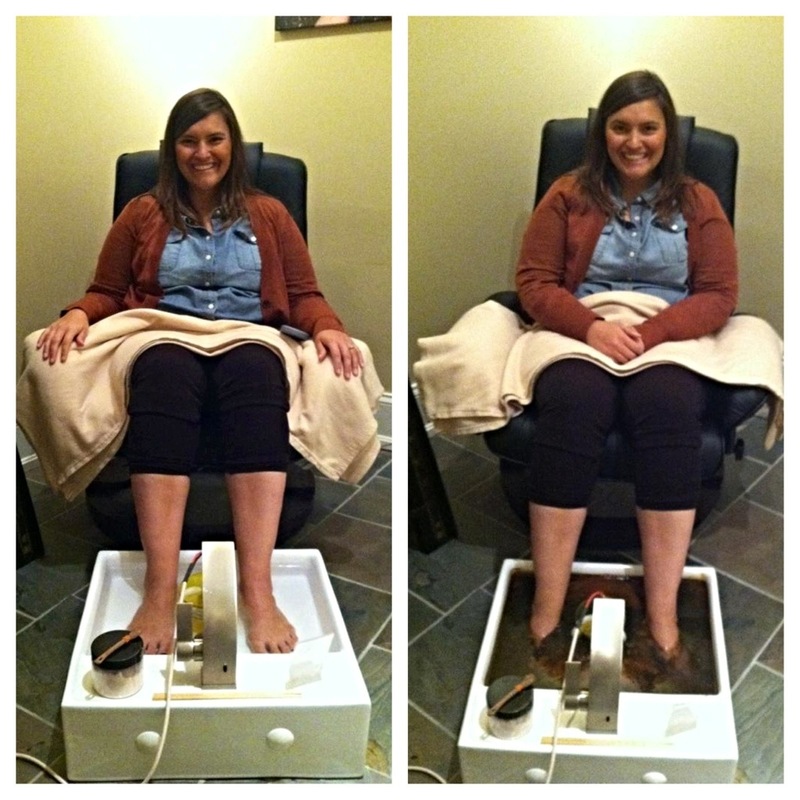 For $33, you could get an aquamassage and salt cave experience (what Lindsey purchased) or for $35, you could get an ionic detox footbath and salt cave experience (what I purchased). IONIC FOOT BATHS: Benefits of the detox foot baths are endless: enhancing the immune system, speeding up recovery time from injury, relieving arthritic pain; improving sleep patterns, etc. SALT CAVE: The large amount of pure Himalayan salt used in the cave creates a microclimate, which mimics that of underground natural salt caves. So, we arrived at Primal Oceans (very easy train ride from downtown, and walking distance from the station), and Karen was extremely kind and helpful, and the spa was immaculately clean. 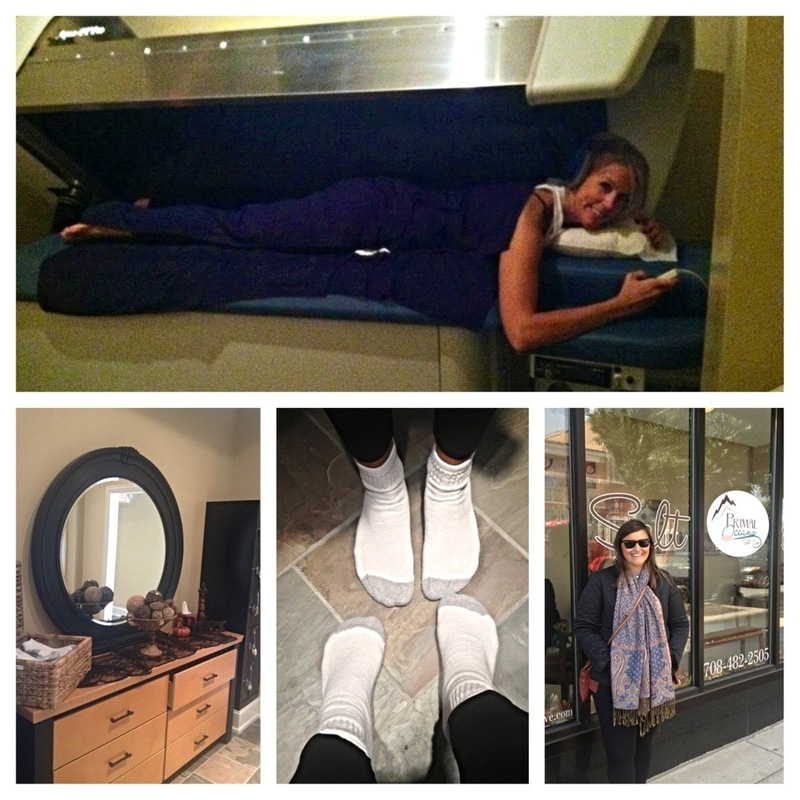 We got a tour of the facilities, and then it was time for our separate treatments. Mine was a little longer, so I started first. I sat in a relaxing lounger in a small room by myself. Karen told me to keep my feet in the small tub, as she poured in a small scoop of salt, and put the “ion machine” in the tub. I love science, so I was pretty pumped about this. What happens is, the machine emits positive and negative ions that react to your body. Toxins are released through the pores in your feet, and the result is seen in the water, from urine yellow to poo brown (sorry, best analogies here). I sat there, peacefully, with the lights turned low, a blanket on, and my feet soaking in the tub. The anticipation of seeing the water change was killing me. So I looked down. Within minutes, the water turned yellow. I panicked. What the heck is going on? I know I’m pretty unhealthy, but it changed in minutes? The investigative reporter (and ignorant idiot) in me googled the treatment and there were a lot of words like “hoax,” “scam,” and the like. I didn’t believe it (I still don’t, by the way), and put my phone away. No matter what you believe, it’s nice to dedicate some time to relaxation. But then the water kept changing, darker and darker. Until at the very end, it was brown water with sludge in it. WHAT WAS IN THE WATER?!? I was nervous and intrigued and confused, but it was fun, nonetheless. Lindsey joined me after her treatment (hers was ike a human carwash! 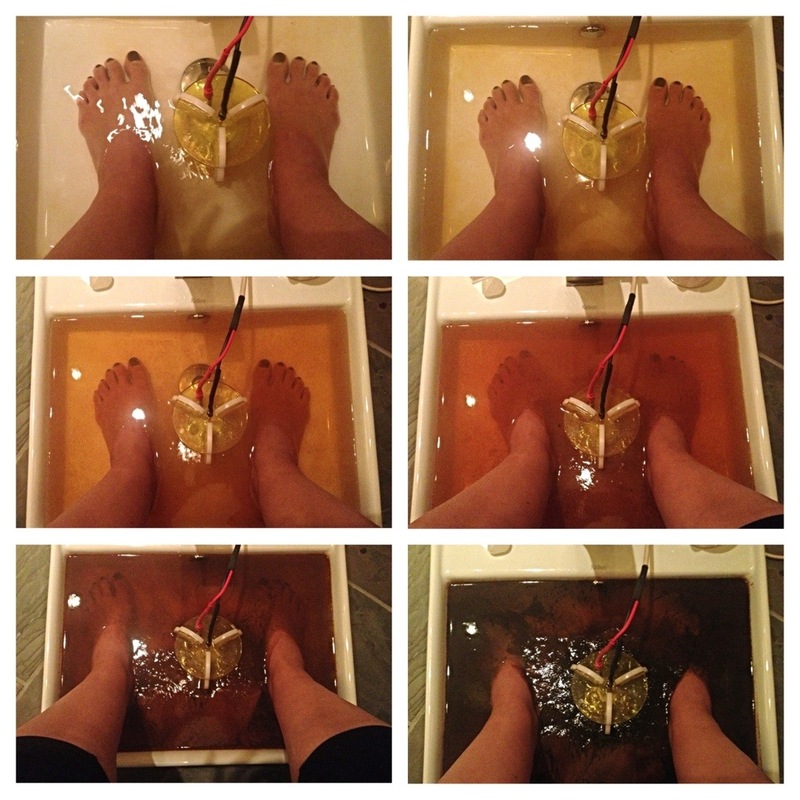 ), and we decided that we should have both done the foot bath to perform an experiment. Would the water have come out the same for both of us? It’s a mystery. After my feet were clean, we put on some white socks and headed into the salt cave. The cave was cool, dark, and quiet, filled with anti-gravity chairs and a chest of cozy blankets (they have to keep the temperature down for the salt). 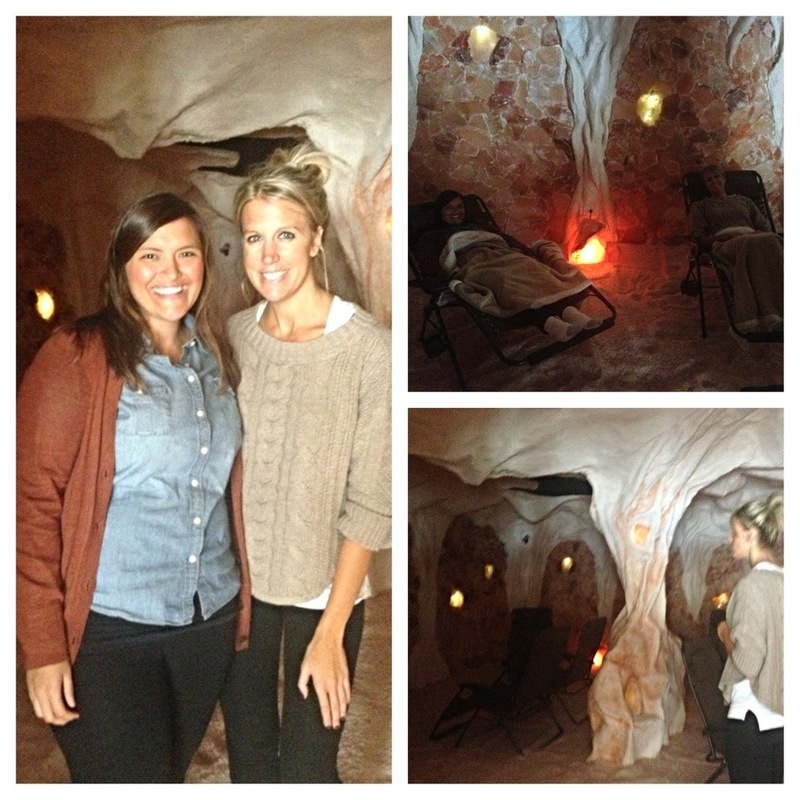 Lindsey and I were the only ones in the salt cave session, which gave us free reign to chat and gossip all we wanted. Once the doors were closed, an introduction came over the speakers to relax, as the room became darker and stars appeared on the ceiling. Lindsey and I laid back in our chairs, snuggling warm blankets, and putting our hands in the salt “sand” that covers the cave floor. I must admit, that 45 minutes went by pretty quickly. At the end of the session, we were rested and rejuvenated. We bundled back up in our boots and coats, and headed to the little gift shop in the lobby of the spa. We both purchased some mementos from our time at Primal Oceans; I opted for a small bottle of bath salt. Let me be honest, it’s hard to know if these treatments will have long-standing effects. But what I do know is that the experience was extremely fun and unique, the service was wonderful, and if another deal came about, Lindsey and I might have to go back for our ionic detox foot bath experiment!